Hi. This is Rose Ann with Atlas Yacht Sales & Charters. Come out and see Chuck and I at the sailing event of the season! We will be at the Jeanneau Booth and eager to show you the 2019 Jeanneau Line Up. We will have a huge selection of yachts available to see so give us a call or email to schedule a private showing. There is no better way to explore the British Virgin Islands than by boat! Our seven day charter will island hop around the BVIs with plenty of activities, dinners, parties, and games for everyone! "Take the Wheel is an on-and-off water learning experience. The morning session covers sailboat options and how to maximize your boating pleasure and budget. During the afternoon on-the-water part of the program, you'll sail aboard your choice of monohulls and multihulls and have a chance to get a stern to stern look with wind in the sails. Find the best boat for your personal sailing needs. Demo various sizes and styles of sailboats. Choose from four monohulls and four catamarans. Experts will be on board to answer your specific questions." New 2018 Jeanneau 51 Release Celebration! Here at Atlas Yacht Sales, we're gearing up to celebrate the arrival of the new, luxurious Jeanneau Yacht 51 here in Saint Augustine! The FIRST with an ICW friendly mast. RSVP below for a night you are sure to enjoy! Filled with delicious food and wine, as well as an exclusive first look and opportunity to tour the Jeanneau 51 that we've ordered with the Natural Oak interior finish and the Alcantara Stone leather upholstery. Atlas Yacht Sales continues to strive to give you the best experience possible and going above and beyond, making you feel always welcome! We held a toast to those who have and continue to support us here at Atlas Yacht Sales in Saint Augustine, celebrating all of our current and future clients with delicious appetizers and a variety of wines and champagnes. No Boat Show this weekend. No Worries! Atlas Yacht Sales has Exceptionally Great Boat Show Pricing on the entire Jeanneau Fleet. Click HERE to see all the exciting offers we have including price discounts and our ownership programs located here in St Augustine, Puerto Rico & US Virgin Islands. We invite you to stop by our booth at the Outlet mall during the Health and Leisure Show coming up in September. Check out a way to sit back and relax and enjoy your time on the water both here or in the caribbean. Stop by and see me at Jeanneau booth during the Sailboat Show. There will be sailors from around the world enjoying the boats and historic downtown Annapolis. The NEW Jeanneau 51 Yacht is anticipated to be available for showing. If you are interested in booking a time, please give Rose Ann Points a call or jot her an email to schedule. 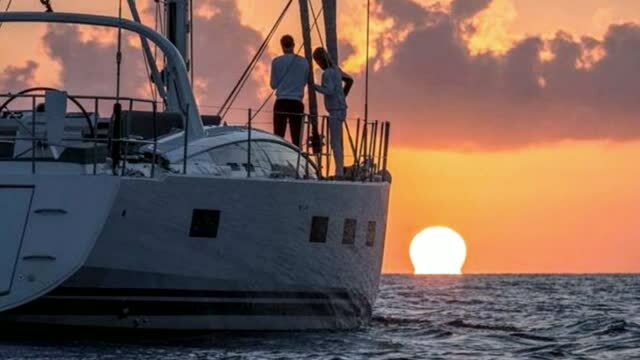 Come and enjoy the real adventure and let the world of Jeanneau open up to you. We are looking forward to attending the Boat Show here in Saint Augustine at the City Marina. We will be right next to the Bridge of Lions. Date: September 16, 17, and 18.